Ecuador is one of my favourite countries and I’m always discovering new Ecuadorian food each time I go. Ecuador is a small country but its food is so diverse. 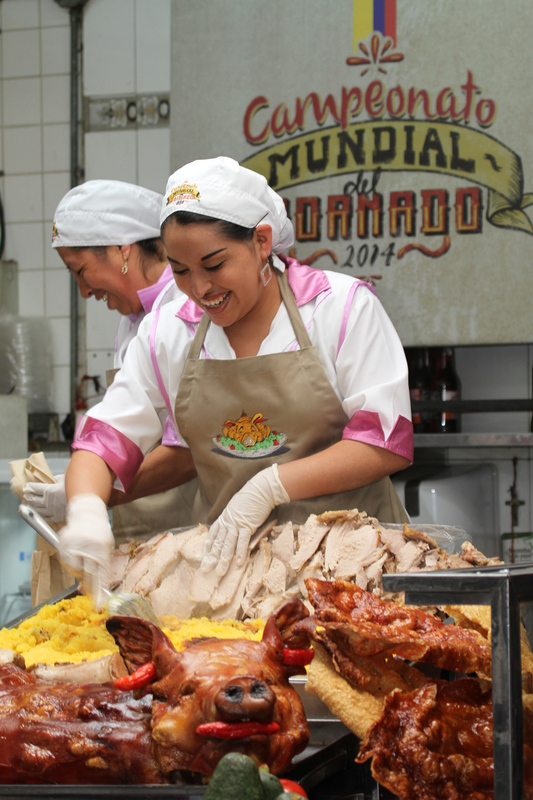 The geography of Ecuador determines what people eat in different parts of the country. In the Andes, Ecuadorian food is full of pork and root vegetables like yuca. On the coast it’s common to have seafood with coconut milk and rice whereas the Amazon has the most unusual food of it all – albeit not so tasty in the heart of the Amazon. This spit roasted pig is a dish that is often found at family celebrations and larger events. The pork is usually carved freshly from the pig and served with salad, fried plantain slices or llapingacho – fried potato cakes. One of my favourite Ecuadorian food, you can find an entire section of the market in Cuenca dedicated to hornado. A stew that is prepared by the locals in the Amazon region of the country is also somewhat controversial. Zarapatoca makes good use of the turtles in the region, this is one of the common meals in an area where food sources are very different as locals don’t have land to raise animals and so they eat what exists in the jungle. One of the most popular dishes in South America, Ecuador’s ceviche recipe is different from other countries. Fish and seafood are cooked before they are marinated in the acid of the lime juice. The positive side is that if you’re hesitant to eat raw fish you know the seafood has been cooked first. It’s not quite the same experience as Peruvian ceviche where the acidity of the lime cooks the ceviche. In Ecuador ceviche is served with fried green plantain slices or popcorn. There are so many different ways to enjoy shrimp in Ecuador, and in the coastal areas they really are one of the staples. 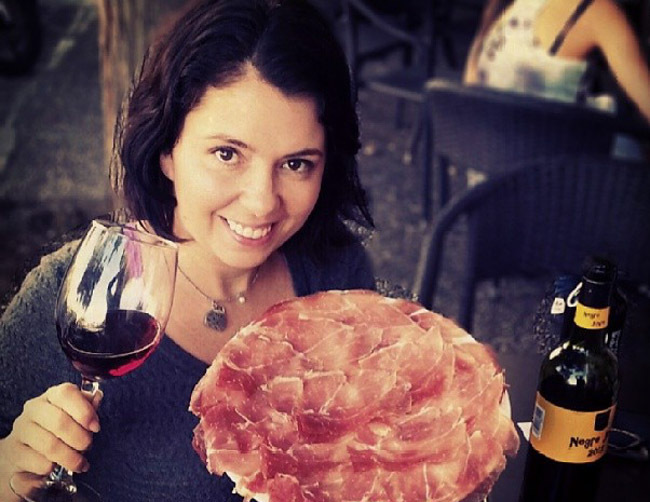 Whether you have them in a ceviche or grilled on the barbecue, they really shouldn’t be missed during your visit. 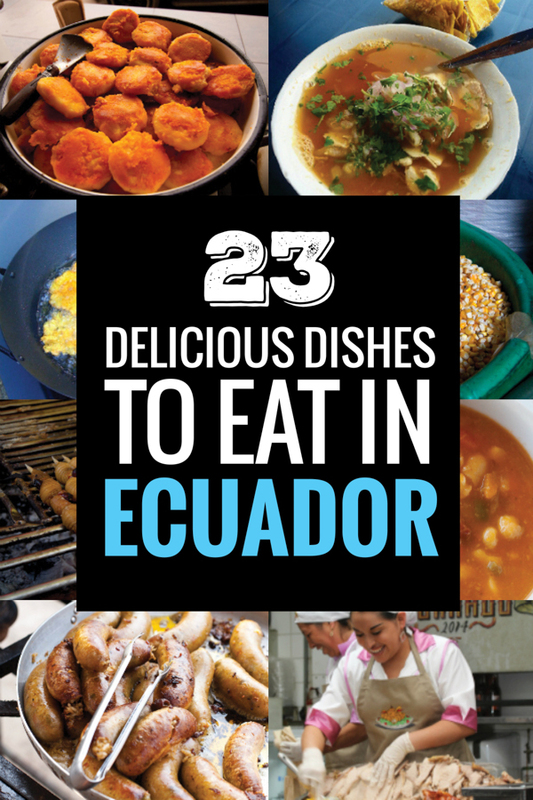 This Ecuadorian food is often used as a side dish, and also frequently eaten as snacks. 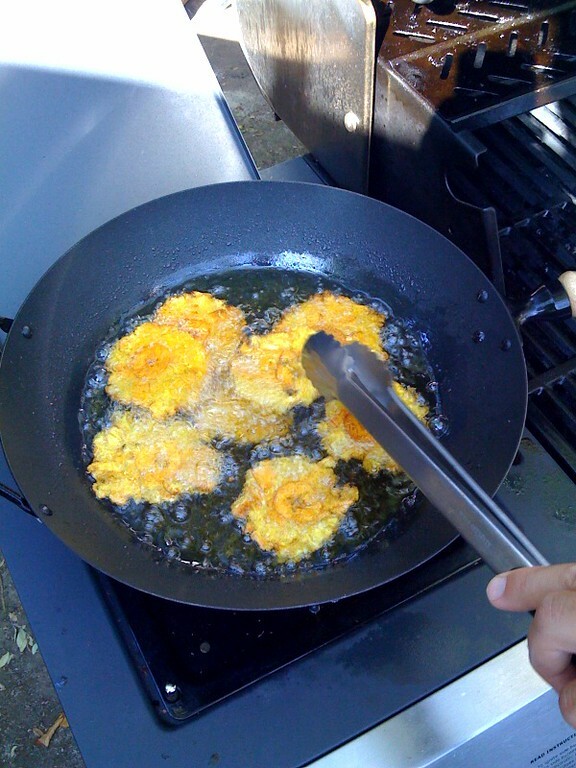 Llapingachos are small patties of grated potato, cheese and seasoning that are fried. They are very common in the Andean region of Ecuador, often as a side dish with hornado. If you like cheesy potatoes this is the dish for you. Fried green plantains, patacones are also known as tostones in much of Central America, although if you’re eating in Honduras you’ll find them as tajadas. Patacones are used as the main starch along the coast of Ecuador in places like Canoa where they are sliced or smashed and then fried. Uchumanga is a stew commonly eaten in the Amazon region of Ecuador. Like many coastal dishes, it is very versatile and can include whichever river fish has been caught by the fishermen. This soup has no waste as the fish is cooked with animal intestines and stewed. Another fish stew that is this time found on the other side of Ecuador in the coastal region. Encebollado is usually made with albacore, tuna or bonito, and is cooked with cassava and red onion to make a hearty dish that is often eaten for breakfast. 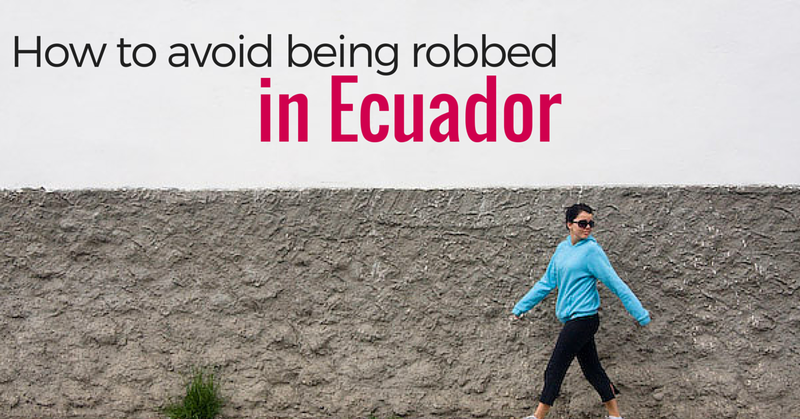 Ecuadorians swear it is the best hangover cure to be had. It’s worth a shot as the soup only costs a few dollars. Ecuadorian food includes a lot of inexpensive snacks. Mote is similar to hominy and is peeled, boiled and served with pork in Ecuador. Together they make for an indulgent and tasty meal that really works with the flavour of the pork rinds. 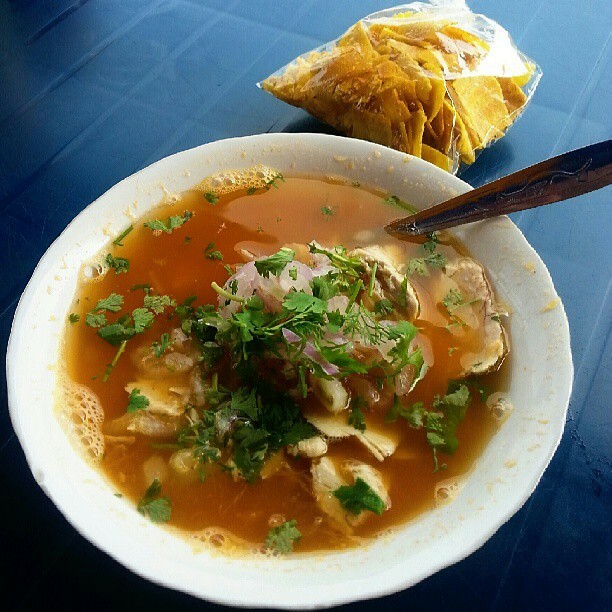 You can find mote con chicharron in markets and from street vendors. One of the great tastes of the coastal region of Ecuador, pescado encocado is a dish of fish cooked in coconut milk. The fish is then combined with tomatoes and bell peppers, which is then often served with white rice and fried plantain slices. 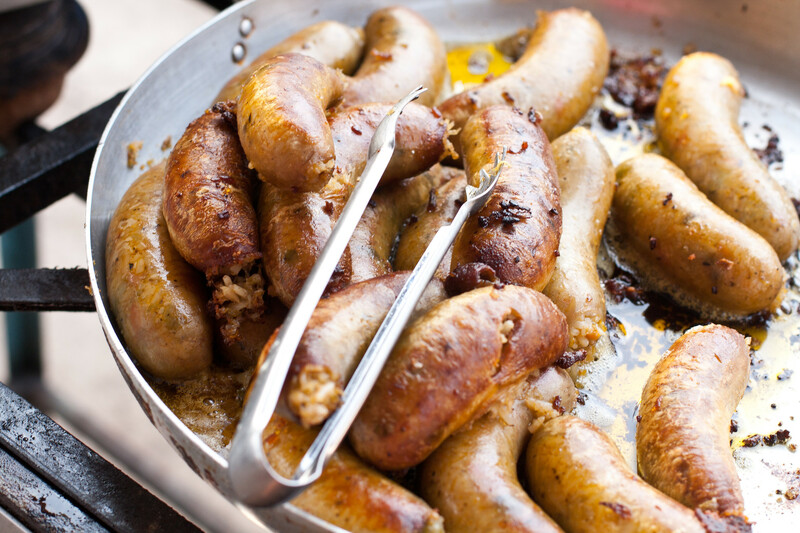 Similar to morcilla in Argentina, these blood sausages are a quick snack or part of a meal. Morcilla are found in many barbecue and fast food spots in Ecuador, where rice and vegetables are added to pig’s blood to make for a tasty and meaty snack. 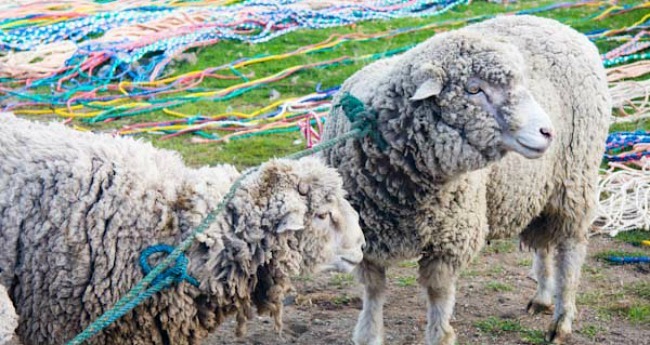 One of the most distinctive and famous types of meat that is eaten in the Andean region of the country, while they are sometimes chopped and included in stews. The most popular way to serve guinea pig is barbecued whole, although seeing the little paws may take a little getting used to. Read more on how to eat cuy. Similar to the shish kebab, carne en palito is made by placing chunks of beef on to wooden skewers. The meat is seasoned with garlic, cumin and achiote before it is grilled. This Ecuadorian food is commonly found at food stalls at fairs and local events. This goat stew is one of my favourites and made with onions, green peppers, tomatoes and occasionally tart fruit juice. If you’ve never eaten goat before this is the time to try it. A stew that is made with lentils or beans, where the legumes are cooked with onions, tomatoes, garlic and chili powder. Menestra can either be vegetarian, served with an egg or chunks of meat. One of the delicacies of the Amazon region that is not for the squeamish. 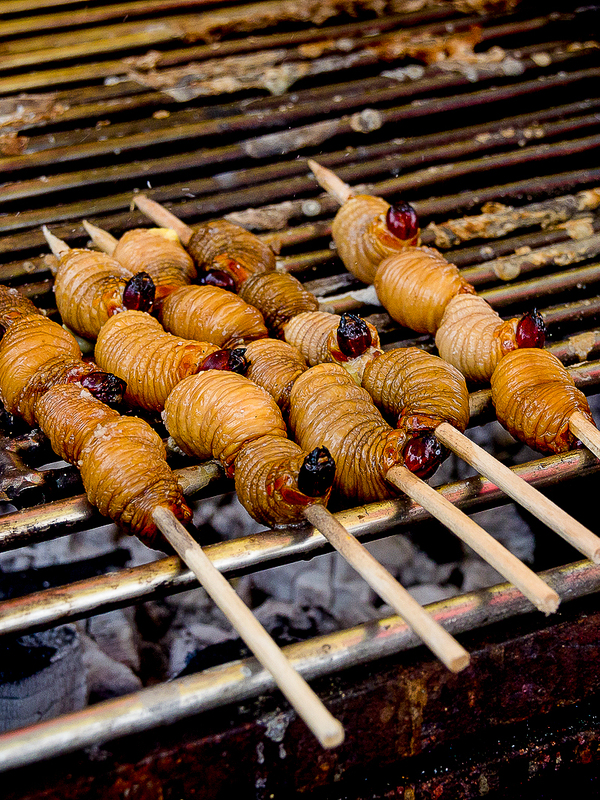 Chontacuro are large beetle larvae, and while many will eat them raw and wriggling. They are often a little more palatable to visitors toasted on skewers, with a strong but pleasant flavour. Yuca is the edible root of the cassava plant, and while it can be chopped into fries or used in many ways like a potato. 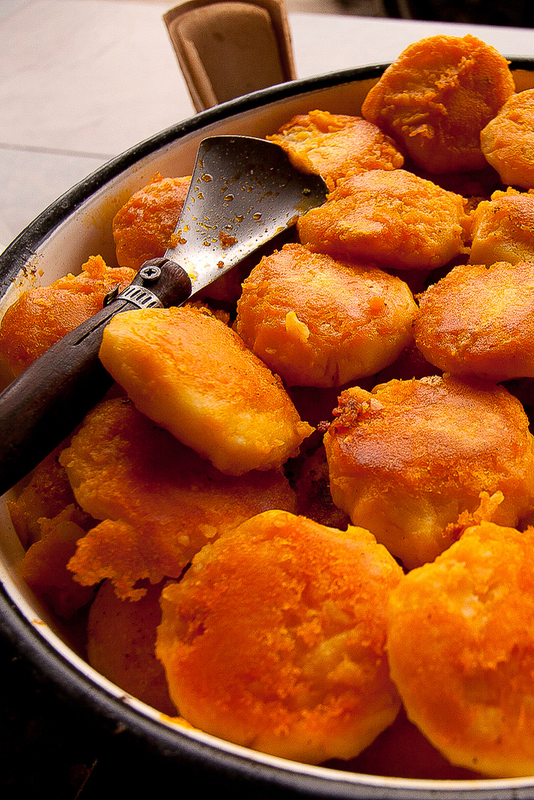 Muchin de yuca is basically a yuca fritter that can have a cheese or pork filling. These hearty stews are perfect sustenance for the cold days of the Andes. Locro is usually vegetarian and made with corn, beans and potatoes. However, sometimes locro can include beef or dried meat such as chorizo so be sure to ask if you’re vegetarian. Although they look like ice cream that never melt. Espumillas are sold in the street and are not ice cream but a meringue foam and flavoured with fruit like guava then topped with syrup and sprinkles. It can be very tempting to try but you need to be very careful when eating this as the recipe calls for egg white. These treats sit in the sun all day so ask around to find out which vendors are safe to buy from. 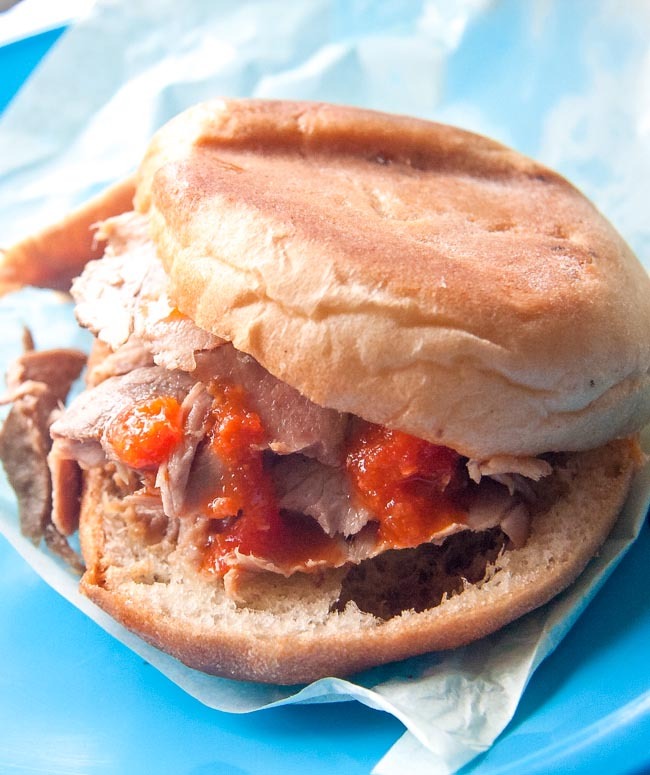 Most commonly found as a street food in Ecuador, these pastry pockets can be both sweet or savory. Smaller empanadas are often served with a dipping sauce. Common fillings include mushrooms, chorizo, chicken, turkey and beef, along with vegetables and plenty of cheese. Here’s a quick Ecuadorian cheese empanada recipe. Chicken and rice is a dish that is known across South America and beyond. In Ecuador the chicken is boiled and the meat removed. Rice is cooked in the same water from the chicken and then the rice and chicken is combined with herbs, spices and seasonal vegetables. Often eaten for breakfast, this Ecuadorian food is very simple. Bolon de verde is basically mashed plantains with a filling of cheese and sometimes meat that can be pan fried or deep fried. This is a very filling dish and can be the size of a baseball. 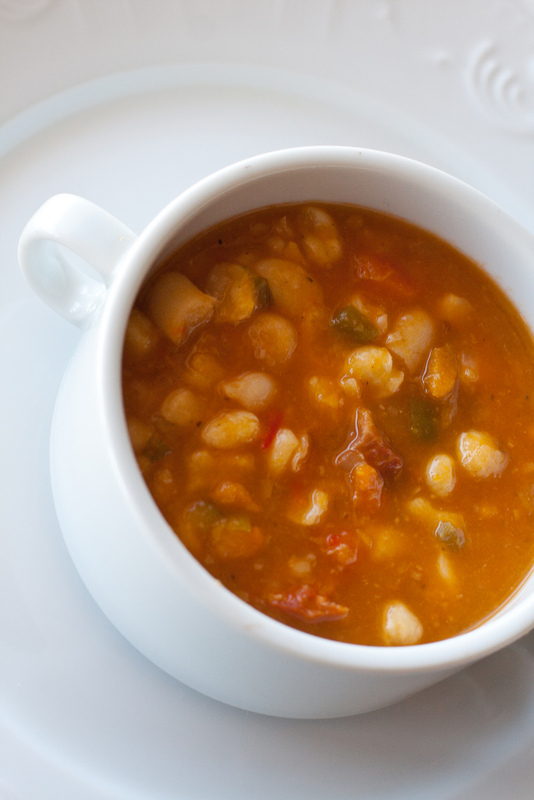 This soup is traditionally eaten during the Holy Week celebrations and is made with twelve different beans and grains cooked in milk. Eggs, fried plantains and pumpkin and sat cod are added to the dish. While many make fanesca, it’s widely believed that the best fanesca is made in Cuenca, which is not surprising given the dominance of the Catholic church there. In fact there is much symbolism to the dish given that the beans represent the 12 apostles and the cod represents Jesus. 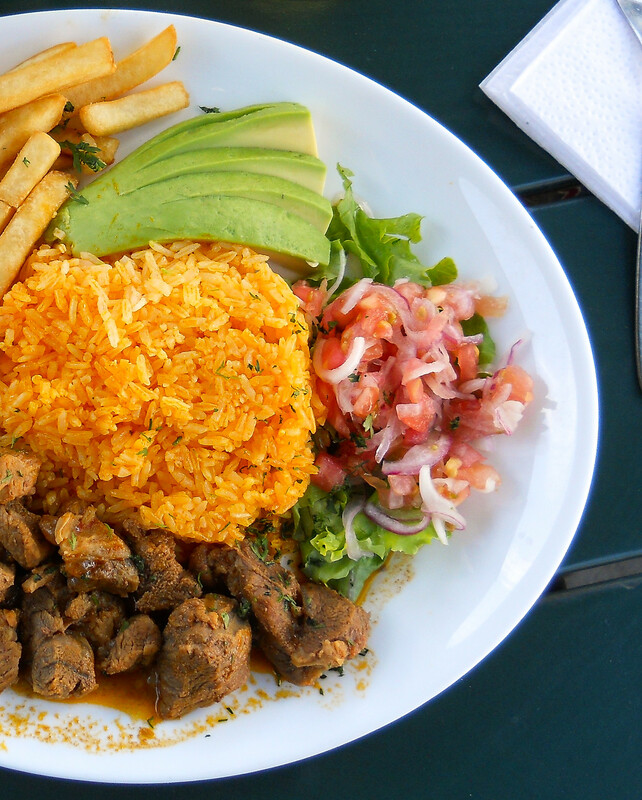 What great Ecuadorian food did we miss? Let us know in the comments below. Wow what a great collection of local foods. The only one that I’ve eaten is empanada, so I have lots yet to taste. Most of these dishes are tempting to me, specially i want to try Carne en Palito. I hope it will be good for my taste buds. Delicious dishes and I’m sure they will taste even more so! Most of the dishes I’m unfamiliar with but I think I’m quite brave to try them all out! Hey geat blog ! 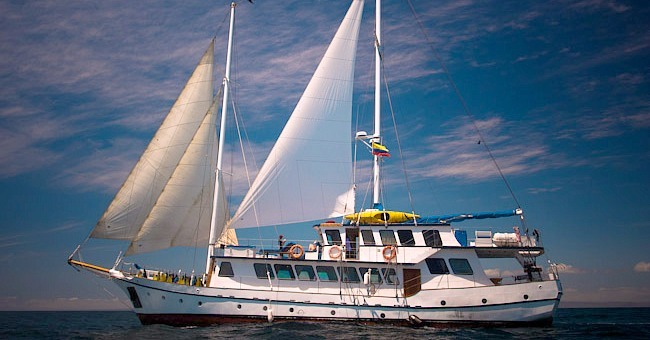 I was on the Galapagos Islands a while ago and I found the restaurant called Aqua and the food was simlpy amazing! Really reminds me of the roasting guinea pigs on spits. At first I thought they were rats! PS- I have no desire to try cuy. I’ve made locro, it’s such a good soup. And you would be surprised by cuy. It kinda tastes like rabbit or dark chicken. Well, it is always difficult to find traditional food when we planned a trip to somewhere. But, by reading this article i feel amazing that there are so many kind of traditional foods are available in Ecuador. Now i can easily make a plan to visit Ecuador because you solved my problem of finding traditional food before planning a trip. Thanks for such an useful information. I worked in Ecuador (Guayaquil, Riobamba, Portoviejo, etc.) for a few years and always ate with the locals. This review is spot on. I would also emphasize that you had better like rice. Furthermore, I despised bananas in USA before I went – I had a vomit reaction to them. But the guineos in Ecuador are fantastic – all dozens of varieties of them. Now I can eat America-sold bananas without a problem, though they still taste like trash, IMNSHO. One last tidbit – you can order pizza at a fair number of restaurants. It is a bit different, but close to the same. And boil your water or buy Guitig. My parents are originally from Ecuador and I grew up eating what you have listed under the coastal cuisine. I love mom’s cooking but you’re missing cal do de bola…so good. My mother also served fried sirloin with a peanut butter sauce and potato on a bed of rice topped with a fried egg. My favourite…next to the roasted pork (hornado). During my years in Ecuador, I grew to enjoy guatita. I got used to the chewy pieces of tripe but what I enjoyed most was the peanut sauce. It may be a poor man’s meal, but I liked it! I did not like cuero con papas. I couldn’t chew the tough pig skin. Another thing I loved was chochos con tostada. It’s something I’d buy on the street for a snack & 25 years later, I still miss it!